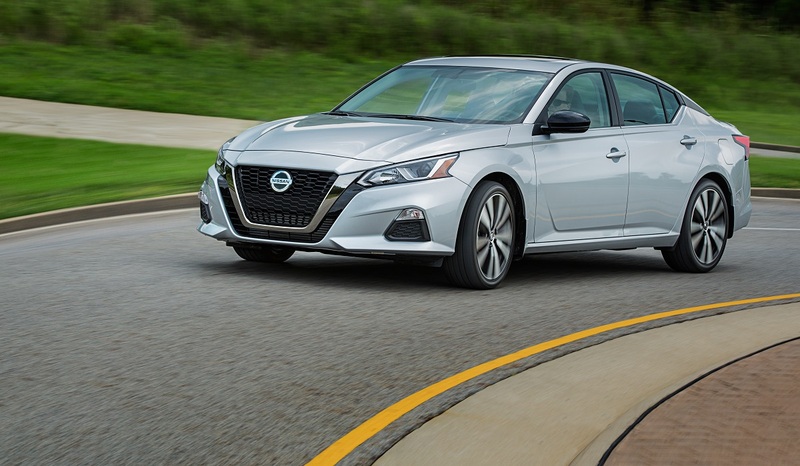 The 2019 Nissan Altima is all-new with a fresh, sporty design, two new powertrain options, and advanced safety technologies to set your mind at ease. It also sees the addition of a key feature that’s not just new to the Altima, but a first for any Nissan sedan in the United States. It’s the middle of winter and if you live where it snows, then you’re likely driving a vehicle with all-wheel drive. Unfortunately, that means you crossed every Nissan sedan off your list when you were shopping since none of them offer all-wheel drive. This changes with the Altima. Looking for a new or used Nissan Altima? Check out BestRide’s listings search here. Previously available only with front-wheel drive, the 2019 Nissan Altima adds all-wheel drive as an option across the lineup. The only limitation is the powertrain, with the more powerful turbocharged engine still offered only with front-wheel drive. 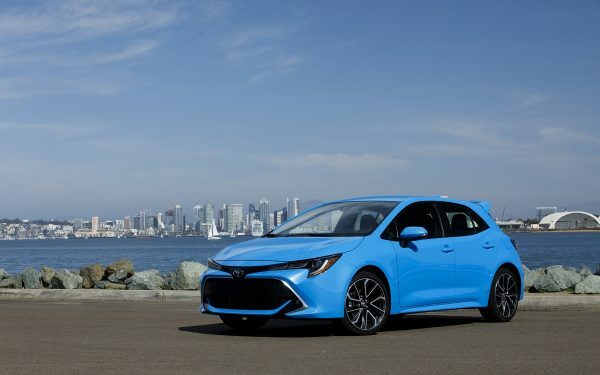 The base engine is a 2.5-liter 4-cylinder with 188 horsepower and 180 lb-ft of torque paired to a continuously variable automatic transmission. This is the engine you get if you want all-wheel drive. 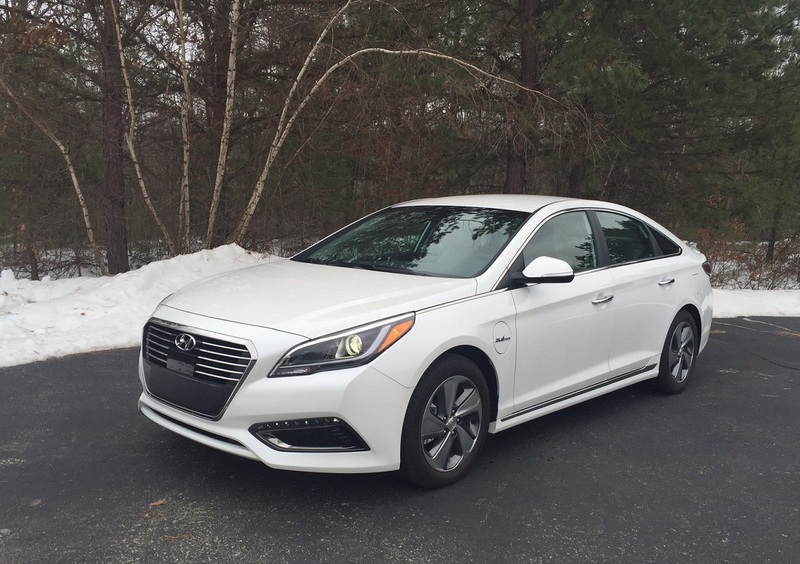 Although not as powerful as the turbocharged option, it’s still plenty responsive. The Altima easily accelerates up to highway speeds and does so without a fuss. The continuously variable automatic transmission isn’t intrusively noisy and the cabin stays quiet and relaxing for passengers, which is a large part of why you buy a sedan in the first place. Handling is also good with tight, responsive steering that doesn’t make you work too hard. If you’re looking for a sportier Nissan option, then there’s always the Maxima, but you’ll pay a premium for the privilege. Your second powertrain choice is a 2.0-liter 4-cylinder variable-compression turbocharged engine with 248 horsepower and 280 lb-ft of torque. It replaces the outgoing V6 and is the first variable-compression engine in a production Nissan. EPA-estimated fuel economy for the 2.5-liter is 28 mpg in the city, 39 mpg on the highway, and 32 mpg combined with front-wheel drive. 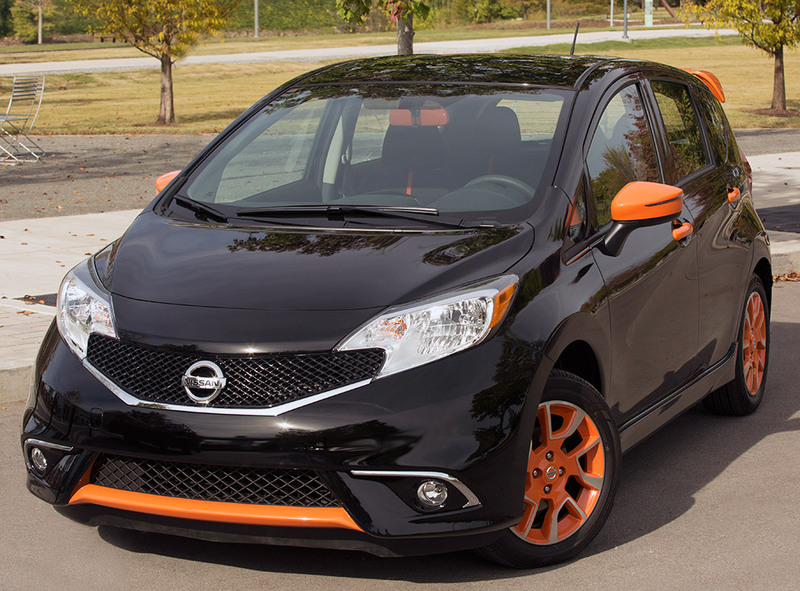 Choose all-wheel drive and the numbers take a dip to 26 mpg in the city, 36 mpg on the highway, and 30 mpg combined. The 2.0-liter sees the numbers drop further, but not as much as you’d expect thanks to the fuel efficiency of that variable-compression engine. It gets an EPA-estimated 25 mpg in the city, 34 mpg on the highway, and 29 mpg combined. The interior of the Altima puts the focus on passengers with comfortable seats that make even the longest road trips easy. They’re supportive without being stiff with mild bolstering and good adjustability. It’s easy for short drivers to get a decent view while tall drivers won’t find their heads brushing the roof. Safety Shield 360 is standard on all but the two base trims of the six-trim lineup. It includes automatic emergency braking with pedestrian detection, high beam assist, rear automatic braking, lane departure warning, blind spot warning, and rear cross traffic alert. Optional safety includes rear automatic braking and ProPilot Assist, which Nissan repeatedly states is not a self-driving feature. It will steer the car and manage your speed, but that doesn’t mean you can take a nap. It requires the driver’s attention with hands on the wheel and can tell if you cheat. Remove your hands for too long and it sounds increasingly aggressive warnings to get your attention. The NissanConnect infotainment system features a standard 8-inch touchscreen along with Apple CarPlay, and Android Auto. Having boht a large screen and key smartphone integration on even the base model isn’t something you’ll find on many sedans. There are six available trims including a special Edition One. The base engine is available in five trims priced from $23,750 to $33,130 while the turbocharged engine gets a three-trim lineup priced form $29,150 to $35,750. 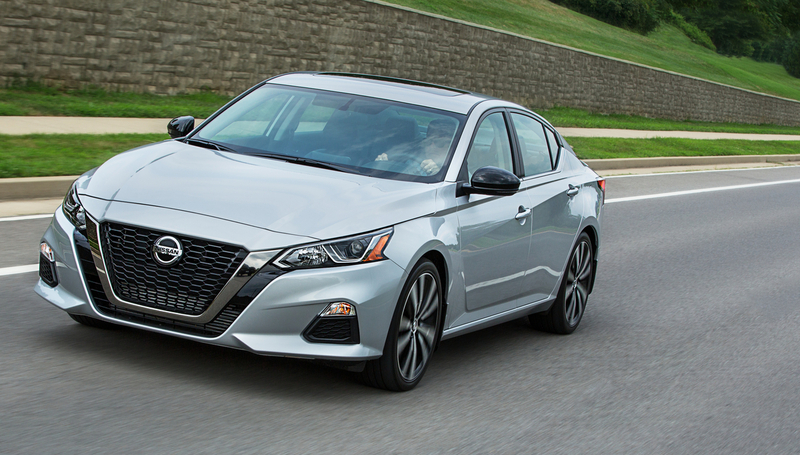 The 2019 Nissan Altima offers a comfortable, fuel-efficient sedan experience with pricing that makes it affordable for the family budget.